In this post, we talk about data types and extend on our previous post on the matter. You will learn how to convert between them but more importantly when and why you should consider such things. As often, we delve into more advanced examples of data conversion that will be of interest to a large audience. Though Confucious didn’t have data types in mind when he penned this saying, the quote can easily be applied to the idea of using the appropriate data type for a particular application. If you’ve read our previous post on Matlab data types, you are probably wondering how to convert between the different available data types and how you can use this to your advantage. For very small matrices and small applications, you won’t see HUGE improvements if say you’re using an int8 rather than a double. The effectiveness of using the appropriate data type really is apparent when using larger matrices (think of pictures, videos, big data for artificial intelligence, huge neuronal recordings). Since the uint8 data type is limited to integers in the range of 0-255, the value passed to the uint8( ) conversion function will be rounded to the nearest integer. In the last example, the argument to the conversion function is larger than the 255 limit, so it is rounded to the nearest uint8 value: 255. It is very important that you remember this. Forgetting this point can lead to bugs that are usually very hard to track. With a little background of how the conversion works, let’s explore why you would want to convert to different data types. 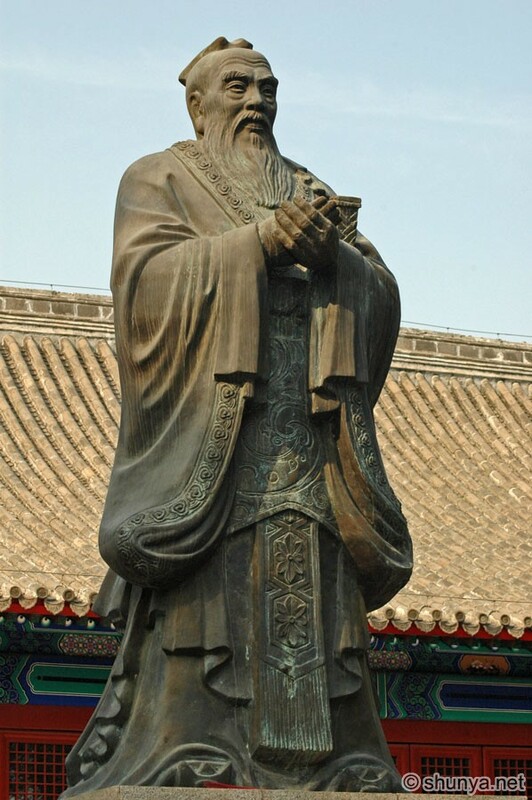 Returning to the Confucius image example, the first thing to consider is the memory it takes to store the uint8 image versus the double image. Use the whos( ) function to look at information about your stored variables. Here you can see one of the most important reasons why you would want to specify the data type or class. The image in the double data type is 8 times as large as the uint8 image. You can see how this can be an issue with even larger sets of data such as sequential images (i.e. a movie). Now, let’s take a look at the other main advantage of specifying the right data type: speed. In general, using the smallest data type leads to faster calculation. Indeed, at the CPU level, summing two integers represented over 8 bits requires less operations than summing two doubles represented over 64 bits, even if these are of the same values. But, and this is also important, it is not always the case. let’s take an example of this in Matlab. In this example, we are going to use an edge detection technique on both the uint8 image and the double image. A morphological closing is then performed on both images. The imclose function is typically used to connect unconnected lines after edge detection. As you can tell in the above example, the uint8 version of this operation takes over 2.5 times longer than the double version! Taking a look into the code of the edge function explains why. The default edge detector, the Sobel detector, is a derivative based method. Since this derivative is not always an integer, Matlab will be spending valuable time converting values from the uint8 input image to a double internally in the edge function. More generally, one of the most common situation where you should upgrade you data class is when dealing with averaging and this for two reasons. We will illustrate this point with images. If you are averaging a large number of uint8 images, you need to sum all pixels together. Depending on the number of images you sum, the final value of all summed pixels will saturate and reach the end of range of your data type. You will therefore lose some precious information if you don’t store your sum properly. When creating the final averaged image, you need to make a division that should create a real number. Because you are averaging many images, you final data resolution should be better than each individual image. Therefore, you should store the final result in a higher precision class to acknowledge that your result can go beyond the initial resolution of your image (i.e. even if your images are acquired at 8 bit, you can obtain 12 or even 16 bits images). This is a technique that is extensively used in microscopy (notably intrinsic imaging for the neuroscientists). The choice of the right data type is therefore very dependent on the types of calculations you expect to be done on that data. Once you have decided what data type your data will fit into, you can speed up your programs and use less memory by always converting to the right type. When I run tic/edge/toc in the reversed order (so first for double_confucious and next for gray_confucious), uint8 is faster. Do you have the same? If so, this suggests that the difference in speed does not come from the data type used. You are right, something is wrong here. It seems like the JIT is fooling on us. I am going to update this post. Please, how can someone convert double to uint8?